"You Albania, give me honour, give me the name Albanian"
a. Aromanian, Greek, Macedonian, and other regional languages are government-recognized minority languages. Albania (, , or sometimes , ; Albanian: Shqipëri/Shqipëria; Gheg Albanian: Shqipni/Shqipnia, Shqypni/Shqypnia), officially known as the Republic of Albania (Albanian: Republika e Shqipërisë; Albanian pronunciation: ), is a country in Southeastern Europe. It is bordered by Montenegro to the northwest, Kosovo to the northeast, the Republic of Macedonia to the east, and Greece to the south and southeast. It has a coast on the Adriatic Sea to the west and on the Ionian Sea to the southwest. It is less than 72 km (45 mi) from Italy, across the Strait of Otranto which connects the Adriatic Sea to the Ionian Sea. 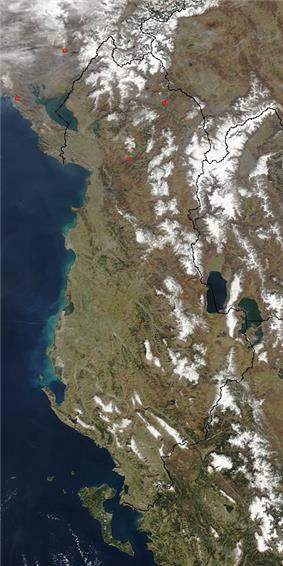 Albania is a member of the Energy Community and the Union for the Mediterranean. It is also an official candidate for membership in the European Union. Albania is a parliamentary republic. As of 2011, the capital, Tirana, was home to 421,286 of the country's 2,893,005 people within the city limits, 763,634 in the metropolitan area. 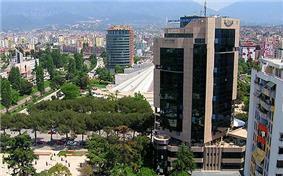 Tirana is also the financial capital of the country. Free-market reforms have opened the country to foreign investment, especially in the development of energy and transportation infrastructure. Albania has a high HDI and provides a universal health care system and free primary and secondary education. Albania is an upper-middle income economy (WB, IMF) with the service sector dominating the country's economy, followed by the industrial sector and agriculture. The name may be derived from the Illyrian tribe of the Albani recorded by Ptolemy, the geographer and astronomer from Alexandria who drafted a map in 150 AD that shows the city of Albanopolis (located northeast of Durrës). As early as the 17th century the placename Shqipëria and the ethnic demonym Shqiptarë gradually replaced Arbëria and Arbëresh. 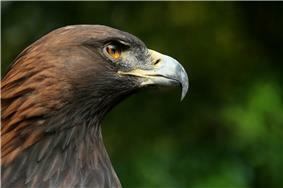 The two terms are popularly interpreted as "Land of the Eagles" and "Children of the Eagles". The territory now known as Albania remained under Roman (Byzantine) control until the Slavs began to overrun it from 548 and onward, and was captured by Bulgarian Empire in the 9th century. 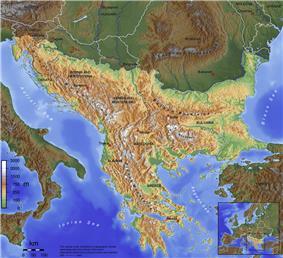 After the weakening of the Byzantine Empire and the Bulgarian Empire in the middle and late 13th century, some of the territory of modern-day Albania was captured by the Serbian Principality. In general, the invaders destroyed or weakened Roman and Byzantine cultural centers in the lands that would become Albania. The territorial nucleus of the Albanian state formed in the Middle Ages, as the Principality of Arbër and the Kingdom of Albania. 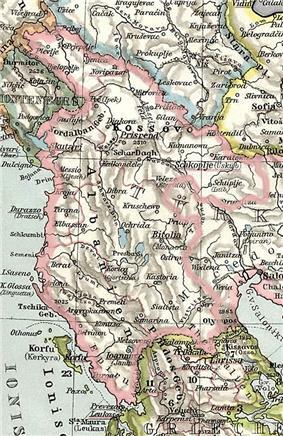 The Principality of Arbër or Albanon (Albanian): Arbër or Arbëria, was the first Albanian state during the Middle Ages , it was established by archon Progon in the region of Kruja, in ca 1190. Progon, the founder, was succeeded by his sons Gjin and Demetrius, the latter which attained the height of the realm. After the death of Dhimiter, the last of the Progon family, the principality came under Gregory Kamonas, and later Golem. The Principality was dissolved in 1255. Pipa and Repishti conclude that Arbanon was the first sketch of an "Albanian state", and that it retained semi-autonomous status as the western extremity of an empire (under the Doukai of Epirus or the Laskarids of Nicaea). At the dawn of the establishment of the Ottoman Empire in Southeast Europe, the geopolitical landscape was marked by scattered kingdoms of small principalities. The Ottomans erected their garrisons throughout southern Albania by 1415 and occupied most of Albania by 1431. However, in 1443 a great and longstanding revolt broke out under the lead of the Albanian national hero Skanderbeg, which lasted until 1479, many times defeating major Ottoman armies led by the sultans Murad II and Mehmed II. Skanderbeg united initially the Albanian princes, and later on established a centralized authority over most of the non-conquered territories, becoming the ruling Lord of Albania. He also tried relentlessly but rather unsuccessfully to create a European coalition against the Ottomans. He thwarted every attempt by the Turks to regain Albania, which they envisioned as a springboard for the invasion of Italy and western Europe. His unequal fight against the mightiest power of the time won the esteem of Europe as well as some support in the form of money and military aid from Naples, the Papacy, Venice, and Ragusa. With the arrival of the Turks, Islam was introduced in Albania as a third religion. This conversion caused a massive emigration of Albanians to the Christian European countries. Along with the Bosniaks, Muslim Albanians occupied an outstanding position in the Ottoman Empire, and were the main pillars of Ottoman Porte's policy in the Balkans. Enjoying this privileged position in the empire, Muslim Albanians held various high administrative positions, with over two dozen Grand Viziers of Albanian origin, such as Gen. Köprülü Mehmed Pasha, who commanded the Ottoman forces during the Ottoman-Persian Wars; Gen. Köprülü Fazıl Ahmed, who led the Ottoman armies during the Austro-Turkish War (1663–1664); and, later, Muhammad Ali Pasha of Egypt. In the 15th century, when the Ottomans were gaining a firm foothold in the region, Albanian towns were organised into four principal sanjaks. The government fostered trade by settling a sizeable Jewish colony of refugees fleeing persecution in Spain (at the end of the 15th century). Vlorë saw passing through its ports imported merchandise from Europe such as velvets, cotton goods, mohairs, carpets, spices and leather from Bursa and Constantinople. 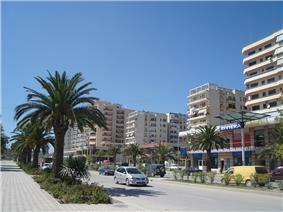 Some citizens of Vlorë even had business associates in Europe. Albanians could also be found throughout the empire in Iraq, Egypt, Algeria and across the Maghreb, as vital military and administrative retainers. This was partly due to the Devşirme system. The process of Islamization was an incremental one, commencing from the arrival of the Ottomans in the 14th century (to this day, a minority of Albanians are Catholic or Orthodox Christians, though the vast majority became Muslim). 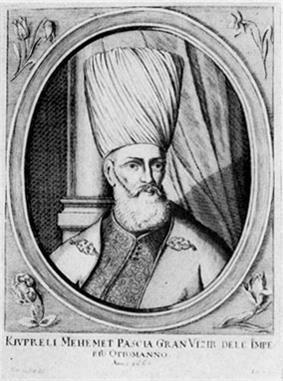 Timar holders, the bedrock of early Ottoman control in Southeast Europe, were not necessarily converts to Islam, and occasionally rebelled; the most famous of these rebels is Skanderbeg (his figure would rise up later on, in the 19th century, as a central component of the Albanian national identity). 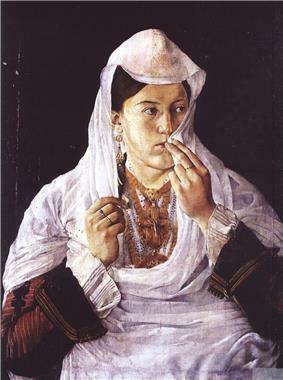 The most significant impact on the Albanians was the gradual Islamisation process of a large majority of the population, although it became widespread only in the 17th century. Mainly Catholics converted in the 17th century, while the Orthodox Albanians followed suit mainly in the following century. Initially confined to the main city centres of Elbasan and Shkoder, by this period the countryside was also embracing the new religion. The motives for conversion according to some scholars were diverse, depending on the context. The lack of source material does not help when investigating such issues. Albania remained under Ottoman control as part of the Rumelia province until 1912, when independent Albania was declared. 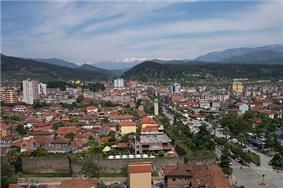 The League of Prizren was formed on 1 June 1878, in Prizren, Kosovo Vilayet of Ottoman Empire. At first the Ottoman authorities supported the League of Prizren, whose initial position was based on the religious solidarity of Muslim landlords and people connected with the Ottoman administration. The Ottomans favoured and protected Muslim solidarity, and called for defense of Muslim lands, including present-day Bosnia and Herzegovina. This was the reason for naming the league The Committee of the Real Muslims (Albanian: Komiteti i Myslimanëve të Vërtetë). The League issued a decree known as Kararname. Its text contained a proclamation that the people from "northern Albania, Epirus and Bosnia" are willing to defend the "territorial integrity" of the Ottoman Empire "by all possible means" from the troops of the Bulgaria, Serbia and Montenegro. It was signed by 47 Muslim deputies of the League on 18 June 1878. Around 300 Muslims participated in the assembly, including delegates from Bosnia and mutasarrif (sanjakbey) of the Sanjak of Prizren as representatives of the central authorities, and no delegates from Scutari Vilayet. The Ottomans cancelled their support when the League, under the influence of Abdyl bey Frashëri, became focused on working toward Albanian autonomy and requested merging of four Ottoman vilayets (Kosovo, Scutari, Monastir and Ioannina) into a new vilayet of the Ottoman Empire (the Albanian Vilayet). The League used military force to prevent the annexing areas of Plav and Gusinje assigned to Montenegro by the Congress of Berlin. After several battles with Montenegrin troops, the league was defeated by the Ottoman army sent by the Sultan. The Albanian uprising of 1912, the Ottoman defeat in the Balkan Wars and the advance of Montenegrin, Serbian and Greek forces into territories claimed as Albanian, led to the proclamation of independence by Ismail Qemali in Vlora, on 28 November 1912. In Vlora, on the 28th of November, the President of Albania was Ismail Kemal Bey who spoke of the great perils facing Albania today. The delegates have all decided unanimously that Albania, as of today, should be on her own free and independent. The Provisional Government of Albania was established on the second session of the assembly held on 4 December 1912. 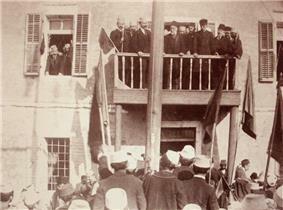 It was a government of ten members, led by Ismail Qemali until his resignation on 22 January 1914. The Assembly also established the Senate (Albanian: Pleqësi) with an advisory role to the government, consisting of 18 members of the Assembly. Albania's independence was recognized by the Conference of London on 29 July 1913, but the drawing of the borders of the newly established Principality of Albania ignored the demographic realities of the time. The International Commission of Control was established on 15 October 1913 to take care of the administration of newly established Albania until its own political institutions were in order. Its headquarters were in Vlorë. The International Gendarmerie was established as the first law enforcement agency of the Principality of Albania. At the beginning of November the first gendarmerie members arrived in Albania. Wilhelm of Wied was selected as the first prince. In November 1913 the Albanian pro-Ottoman forces had offered the throne of Albania to the Ottoman war minister of Albanian origin, Izzet Pasha. The pro-Ottoman peasants believed that the new regime of the Principality of Albania was a tool of the six Christian Great Powers and local landowners that owned half of the arable land. In February 28, 1914, the Autonomous Republic of Northern Epirus was proclaimed in Gjirokastër by the local Greek population against incorporation to Albania. This initiative was short lived and in 1921 the southern provinces were finally incorporated to the Albanian Principality. Meanwile, the revolt of Albanian peasants against the new Albanian regime erupted under the leadership of the group of Muslim clerics gathered around Essad Pasha Toptani, who proclaimed himself the savior of Albania and Islam. In order to gain support of the Mirdita Catholic volunteers from the northern mountains, Prince of Wied appointed their leader, Prênk Bibë Doda, to be the foreign minister of the Principality of Albania. In May and June 1914 the International Gendarmerie joined by Isa Boletini and his men, mostly from Kosovo, and northern Mirdita Catholics were defeated by the rebels who captured most of Central Albania by the end of August 1914. The regime of Prince of Wied collapsed and he left the country on 3 September 1914. The short-lived monarchy (1914–1925) was succeeded by an even shorter-lived first Albanian Republic (1925–1928), to be replaced by another monarchy (1928–1939). The kingdom was supported by the fascist regime in Italy and the two countries maintained close relations until Italy's sudden invasion of the country in 1939. Albania was occupied by Fascist Italy and then by Nazi Germany during World War II. After being militarily occupied by Italy, from 1939 until 1943 the Albanian Kingdom was a protectorate and a dependency of Italy governed by the Italian King Victor Emmanuel III and his government. After the Axis' invasion of Yugoslavia in April 1941, territories of Yugoslavia with substantial Albanian population were annexed to Albania: most of Kosovo, as well as Western Macedonia, the town of Tutin in Central Serbia and a strip of Eastern Montenegro. After the capitulation of Italy in 1943, Nazi Germany occupied Albania too. 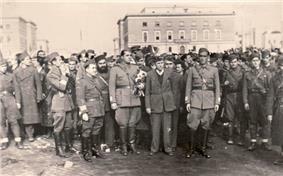 The nationalist Balli Kombetar, which had fought against Italy, formed a "neutral" government in Tirana, and side by side with the Germans fought against the communist-led National Liberation Movement of Albania. The Center for Relief to Civilian Populations (Geneva) reported that Albania was one of the most devastated countries in Europe. 60,000 houses were destroyed and about 10% of the population was left homeless. By the end of World War II, the main military and political force in the country, the communist party, sent forces to northern Albania against the nationalists to eliminate its rivals. They faced open resistance in Nikaj-Mertur, Dukagjin and Kelmend (Kelmendi was led by Prek Cali). On 15 January 1945, a clash took place between partisans of the first Brigade and nationalist forces at the Tamara Bridge, resulting in the defeat of the nationalist forces . About 150 Kelmendi people were killed or tortured. This event was the starting point of many other issues which took place during Enver Hoxha's dictatorship. Class struggle was strictly applied, human freedom and human rights were denied. Kelmend region was isolated both by the border and by lack of roads for another 20 years, the institution of agricultural cooperative brought about economic decline. Many Kelmendi people fled, some were executed trying to cross the border. Symbol of the Labour Party of Albania. After the liberation of Albania from Nazi occupation, the country became a Communist state, the People's Republic of Albania (renamed "the People's Socialist Republic of Albania" in 1976), which was led by Enver Hoxha and the Labour Party of Albania. The socialist reconstruction of Albania was launched immediately after the annulling of the monarchy and the establishment of a "
^ Madrugearu A, Gordon M. The wars of the Balkan Peninsula. Rowman & Littlefield, 2007. p. 146. ^ Richard Talbert, Barrington Atlas of the Greek and Roman World, (ISBN 0-691-03169-X), Map 49 & notes. ^ The Illyrians by J. J. Wilkes, 1992, ISBN 978-0-631-19807-9, page 279,"We cannot be certain that the Arbanon of Anna Comnena is the same as Albanopolis of the Albani, a place located on the map of Ptolemy (3.12)"
^ Robert Elsei. The Albanian lexicon of Dion Von Kirkman. 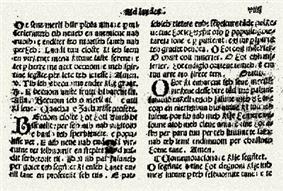 Earliest reference to the existence of the Albanian language, pp. 113–122. ^ Clements 1992, p. 31 "By 1190, Byzantium's power had so receded that the archon Progon succeeded in establishing the first Albanian state of the Middle Ages, a principality"
^ a b " Arnawutluḳ." Encyclopaedia of Islam, Second Edition. Brill Online, 2012. Reference. 2 January 2009. ^ H. T. Norris, Islam in the Balkans: Religion and Society Between Europe and the Arab World, p. 196. ^ Kombësia dhe feja në Shqipëri, 1920-1944 / Roberto Moroco dela Roka ; e përktheu nga origjinali Luan Omari. ^ Bezemer, Dirk. 2001. "Post-socialist Financial Fragility: The Case of Albania." Cambridge Journal of Economics. Vol 25: 1-25. ^ Musaraj, Smoki. 2011. "Tales from Albarado: The Materiality of Pyramid Schemes in Post-socialist Albania." Cultural Anthropology, Vol 26(1): 84-110. ^ The mass emigration of Albanians was mostly to Italy, Greece, Switzerland, Germany and North America. 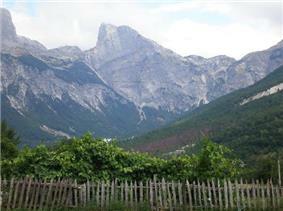 ^ "Albania: Looking Beyond Borders". Migration Policy Institute. ^ Arbatsky, Yuri, cited in Koco with the footnote Translated and published by Filip Fishta in Shkolla Kombëtare (The National School; No.1, May 1939), 19, and quoted from his Preface to Pjetër Dungu's Lyra Shqiptare (see note 2). ^ a b Kosovo is the subject of a territorial dispute between the Republic of Kosovo and the Republic of Serbia. The Republic of Kosovo unilaterally declared independence on 17 February 2008, but Serbia continues to claim it as part of its own sovereign territory. The two governments began to normalise relations in 2013, as part of the Brussels Agreement. Kosovo has been recognised as an independent state by 108 out of 193 United Nations member states. Alternative medicine is also practiced among the population in the form of herbal remedies as the country is a large exporter of aromatic and medicinal herbs. The general improvement of health conditions in the country is reflected in the lower mortality rate, down to an estimated 6.49 deaths per 1,000 in 2000, as compared with 17.8 per 1,000 in 1938. In 2000, average life expectancy was estimated at 74 years, compared to 38 years at the end of World War II. Albania's infant mortality rate, estimated at 20 per 1,000 live births in 2000, has also declined over the years since the high rate of 151 per 1,000 live births in 1960. There were 69,802 births in 1999 and the fertility rate in 1999 was 2.5 while the maternal mortality rate was 65 per 100,000 live births in 1993. In addition, in 1997, Albania had high immunization rates for children up to one year old: tuberculosis at 94%; diphtheria, pertussis, and tetanus, 99%; measles, 95%; and polio, 99.5%. In 1996, the incidence of tuberculosis was 23 in 100,000 people. In 1995 there were two reported cases of AIDS and seven cases in 1996. In 2000 the number of people living with HIV/AIDS was estimated at less than 100. The leading causes of death are cardiovascular disease, trauma, cancer, and respiratory disease. Life expectancy is estimated at 77.59 years, ranking 51st worldwide, and outperforming a number of European Union countries, such as Hungary and the Czech Republic. The most common causes of death are circulatory diseases followed by cancerous illnesses. Demographic and Health Surveys completed a survey in April 2009, detailing various health statistics in Albania, including male circumcision, abortion and more. Radio Televizioni Shqiptar is the public broadcaster of Albania. Football is the most popular sport in Albania, both at a participatory and spectator level. The sport is governed by the Football Association of Albania (Albanian: Federata Shqiptare e Futbollit, F.SH.F. ), created in 1930, member of FIFA and a founding member of UEFA. Other sports played include basketball, volleyball, tennis, swimming, rugby union, and gymnastics. Before the establishment of the People's Republic, Albania's illiteracy rate was as high as 85%. Schools were scarce between World War I and World War II. When the People's Republic was established in 1945, the Party gave high priority to wiping out illiteracy. As part of a vast social campaign, anyone between the ages of 12 and 40 who could not read or write was mandated to attend classes to learn. By 1955, illiteracy was virtually eliminated among Albania's adult population. During the 16th to 17th centuries, the Frang Bardhi, who also published a dictionary and folklore creations, the theological-philosophical treaty Cuneus Prophetarum (The Band of Prophets) (1685) by Pjetër Bogdani, the most universal personality of Albanian Middle Ages, were published in Albanian. 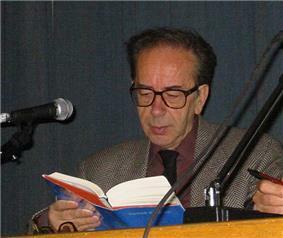 The most famous Albanian writer is probably Ismail Kadare. 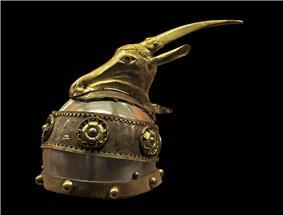 The National Museum of History features exhibits from Illyrian times to the fall of Communism in the 1990s. Ardenica Monastery in Ardenicë, Albania. Muradie Mosque in Vlorë is a cultural monument. St.Mary's Orthodox Church in Apollonia, Albania. 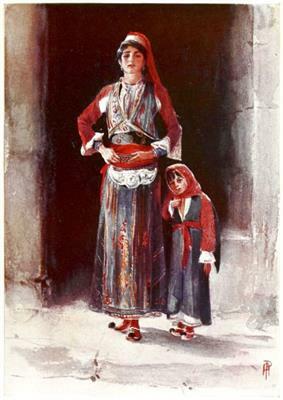 The Albanians first appear in the historical record in Byzantine sources of the late 11th century. At this point, they were already fully Christianized. Islam later emerged as the majority religion during the centuries of Ottoman rule, though a significant Christian minority remained. After independence (1912) from the Ottoman Empire, the Albanian republican, monarchic and later Communist regimes followed a systematic policy of separating religion from official functions and cultural life. Albania never had an official state religion either as a republic or as a kingdom. In the 20th century, the clergy of all faiths was weakened under the monarchy, and ultimately eradicated during the 1950s and 1960s, under the state policy of obliterating all organized religion from Albanian territories. According to 2011 census, 58.79% of Albania adheres to Islam; Christianity is practiced by 17.06% of the population, making it the 2nd largest religion in the country; and 24.29% of the total population is either irreligious or belongs to other religious groups. The Albanian Orthodox church refused to recognize the 2011 census results regarding faith, saying that 24% of the total population are Albanian Orthodox Christians rather than just 6.75%. Before World War II, 70% of the population were Muslims, 20% Eastern Orthodox, and 10% Roman Catholics. According to a 2010 survey, religion today plays an important role in the lives of only 39% of Albanians, and Albania is ranked among the least religious countries in the world. A 2012 Pew Research Center study found that 65% of Albanian Muslims are non-denominational Muslims. Albanians are considered a polyglot nation and people. Due to immigration and past colonialism, Albanians generally speak more than 2 languages. English, Italian and Greek are by far the most widely spoken foreign languages, which are increasing due to migration return, and new Greek and Italian communities in the country. La Francophonie states 320,000 French speakers can be found in Albania. Other spoken languages include Serbian, Romanian, German, Turkish and Aromanian. Albanians in neighbouring Kosovo and Macedonia are often fluent in Albanian and Serbian, Turkish, Slavic Macedonian, and other former Yugoslav languages. Albanian is the official language of Albania. 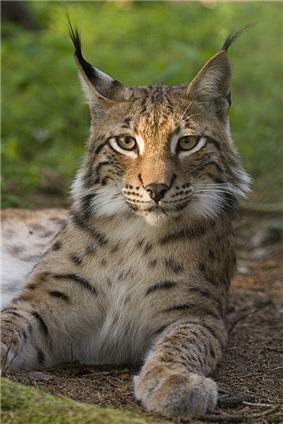 Its standard spoken and written form is revised and merged from the two main dialects, Gheg and Tosk, though it is notably based more on the Tosk dialect. Shkumbin river is the rough dividing line between the two dialects. Also a dialect of Greek that preserves features now lost in standard modern Greek is spoken in areas inhabited by the Greek minority. Other languages spoken by ethnic minorities in Albania include Vlach, Serbian, Macedonian, Bosnian, Bulgarian, Gorani, and Roma. Macedonian is official in Pustec Municipality in East Albania. According to the 2011 Census results, the total population of Albania is 2,821,977 with a low Fertility rate of 1.49 children born per woman. The fall of the Communist regime in 1990 Albania was accompanied with massive migration. External migration was prohibited in Communist Albania while internal one was quite limited, hence this was a new phenomenon. Between 1991 and 2004, roughly 900,000 people have migrated out of Albania, about 600,000 of them settling in Greece. Migration greatly affected Albania's internal population distribution. Population decreased mainly in the North and South of the country while it increased in Tirana and Durrës center districts. According to the Albanian Institute of Statistics, the population of Albania is 2,893,005 as of 1 January 2015. Representation of the distribution of ethnic groups within the Republic of Albania, as according to the 2011 census. Districts colored gray are those where a majority of people did not declare an ethnicity (the question was optional). The railway system was extensively promoted by the totalitarian regime of Enver Hoxha, during which time the use of private transport was effectively prohibited. Since the collapse of the former regime, there has been a considerable increase in car ownership and bus usage. Whilst some of the country's roads are still in very poor condition, there have been other developments (such as the construction of a motorway between Tirana and Durrës) which have taken much traffic away from the railways. The Directory General of Civil Aviation (DGCA) was established on 3 February 1991, to cope with the development required by the time. 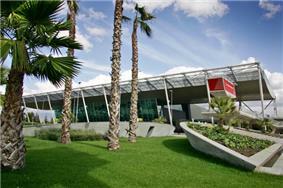 Albania has one international airport, Tirana International Airport Nënë Tereza, which is linked to 29 destinations by 14 airlines. It has seen a dramatic rise in passenger numbers and aircraft movements since the early 1990s. From 1989 to 1991, because of political changes in the Eastern European countries, Albania adhered to the Bulgaria, Germany, Slovenia, Italy, Russia, Austria, the UK and Macedonia. During 1960–1978, several airlines ceased to operate in Albania due to the impact of the politics, resulting in a decrease of influx of flights and passengers. In 1977 Albania's government signed an agreement with Greece to open the country's first air links with non-communist Europe. As a result, Olympic Airways was the first non-communist airline to commercially fly into Albania after World War II. By 1991 Albania had air links with many major European cities, including Paris, Rome, Zürich, Vienna and Budapest, but no regular domestic air service. 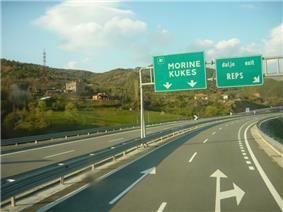 The A1 Albania–Kosovo Highway links Kosovo to Albania's Adriatic coast: the Albanian side was completed in June 2009, and now it takes only two hours and a half to go from the Kosovo border to Durrës. Overall the highway will be around 250 km (155 mi) when it reaches Prishtina. The project was the biggest and most expensive infrastructure project ever undertaken in Albania. The cost of the highway appears to have breached €800 million, although the exact cost for the total highway has yet to be confirmed by the government. However, in 2009 the government approved the "National Strategy for Science, Technology and Innovation in Albania" covering the period 2009–2015. It aims to triple public spending on research and development (R&D) to 0.6% of GDP and augment the share of gross domestic expenditure on R&D from foreign sources, including via the European Union's Framework Programmes for Research, to the point where it covers 40% of research spending, among others. Law enforcement in Albania is primarily the responsibility of the Albanian Police. Albania also has a counter-terrorism unit called RENEA. On a list of 75 countries, Albania listed at 17th lowest crime rate ahead of many western nations such as Denmark, the United Kingdom, Sweden and France. However, homicide is still a problem in the country, especially blood feuds in rural areas of the north and domestic crime. In 2014 about 3000 Albanian families were estimated to be involved in blood feuds and this had since the fall of Communism led to the deaths of 10,000 people. 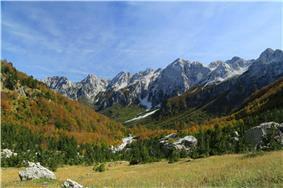 Albanian Alps, part of the Prokletije or Accursed Mountains range in Northern Albania bearing the highest mountain peak. The most beautiful mountainous regions that can be easily visited by tourists are Dajti Mountain, Thethi, Voskopoja, Valbona, Kelmend, Prespa, Lake Koman, Dukat and Shkrel. The increase in foreign visitors is dramatic, Albania had only 500,000 visitors in 2005, while in 2012 had an estimated 4.2 million tourists, an increase of 740% in only 7 years. Several of the country’s main cities are situated along the pristine seashores of the Adriatic and Ionian Seas. An important gateway to the Balkan Peninsula, Albania’s ever-growing road network provides juncture to reach its neighbors in north south, east, and west. Albania is within close proximity to all the major European capitals with short two or three hour flights that are available daily. 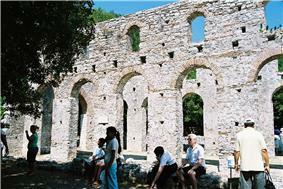 Tourists can see and experience Albania’s ancient past and traditional culture. 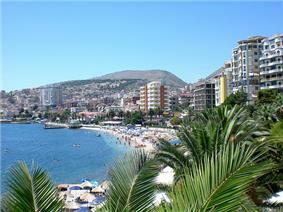 A large part of Albania's national income comes from tourism. Tourism - as of 2013 - funds 10% of its gross domestical product, and this is expected to increase. 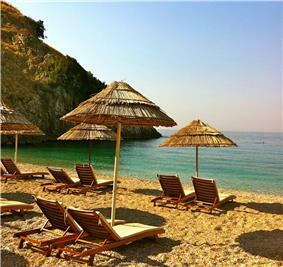 Albania welcomed around 4.2 million visitors in 2012, mostly from neighbouring countries and the European Union. 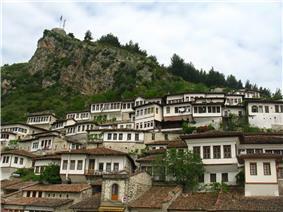 In 2011, Albania was recommended as a top travel destination, by Lonely Planet. 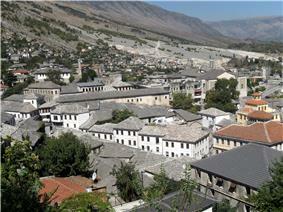 In 2014, Albania was nominated number 4 global touristic destination by the New York Times. The number of tourists has increased by 20% for 2014 as well. Agriculture is the most significant sector, employing a significant proportion of the labor force and generating about 21% of GDP. Agriculture in Albania employs 47.8% of the population and about 24.31% of the land is used for agricultural purposes.Domestic farm products accounted for 63% of household expenditures and 25% of exports in 1990. 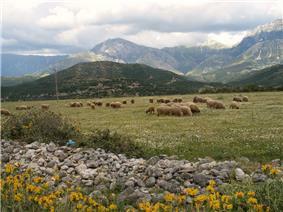 As part of the pre-accession process of Albania to the EU, farmers are being aided through IPA 2011 funds to improve Albanian agriculture standards. Albania produces significant amounts of tobacco,olives, wheat, maize, potatoes, vegetables, fruits, sugar beets, grapes; meat,honey, dairy products, and traditional medicine and aromatic plants,figs (13th largest producer in the world) and sour cherries. Albania’s proximity to the Ionian Sea and the Adriatic Sea give the underdeveloped fishing industry great potential. World Bank and European Community economists report that Albania's fishing industry has good potential to generate export earnings because prices in the nearby Greek and Italian markets are many times higher than those in the Albanian market. The fish available off the coasts of Albania are carp, trout, sea bream, mussels, and crustaceans. The country has large deposits of petroleum and natural gas, and produced 26,000 barrels of oil per day in the first quarter of 2014 (BNK-TC). Natural gas production, estimated at about 30 million m³, is sufficient to meet consumer demands. Other natural resources include coal, bauxite, copper and iron ore.Albania has the largest onshore oil reserves in Europe. Albania's crude output amounted to more than 1.2 million tonnes in 2013, including 1.06 million by Canada's Bankers Petroleum, 87,063 tonnes from Canada's Stream Oil and 37,406 tonnes by Albpetrol on its own. Three foreign firms produced the rest. Albania and Croatia have discussed the possibility of jointly building a nuclear power plant at Lake Shkoder, close to the Border crossings of Albania with Montenegro, a plan that has gathered criticism from Montenegro due to seismicity in the area. In addition, there is some doubt whether Albania would be able to finance a project of such a scale with a total national budget of less than $5 billion. However, in February 2009 Italian company Enel announced plans to build an 800 MW coal-fired power plant in Albania, to diversify electricity sources. Nearly 100% of the electricity is generated by ageing hydroelectric power plants, which are becoming more ineffective due to increasing droughts. However, there have been many private investments in building new hydroelectric power plants such as Devoll Hydro Power Plant and the Ashta hydropower plant. Tirana the capital and economic hub of Albania. As part of the reform, major town centers in Albania are being physically redesigned and façades painted to reflect a more Mediterranean look. Albania is divided into 12 administrative counties (Albanian: qark or prefekturë). Since June 2015, these counties are divided into 61 municipalities (Albanian: bashki). These counties were further divided in 36 districts (Albanian: rreth) which became defunct in 2000. The government introduced a new administrative division to be implemented in 2015 whereby municipalities are reduced to 61 in total, while rural ones called komuna are abolished. 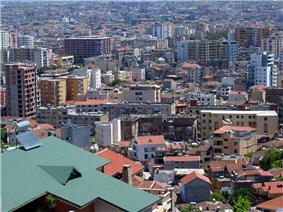 The defunct municipalities will be known as Neighborhoods or Villages (Albanian: Lagje / Fshat). There are overall 2980 villages/communities (Albanian: fshat) in all Albania, formerly known as localities (Albanian: lokalitete). The municipalities are the first level of local governance, responsible for local needs and law enforcement. Today it consists of: the General Staff, the Albanian Land Force, the Albanian Air Force and the Albanian Naval Force. Increasing the military budget was one of the most important conditions for NATO integration. Military spending has generally been lower than 1.5% since 1996 only to peak in 2009 at 2% and fall again to 1.5%. Since February 2008, Albania has participated officially in NATO's Operation Active Endeavor in the Mediterranean Sea. 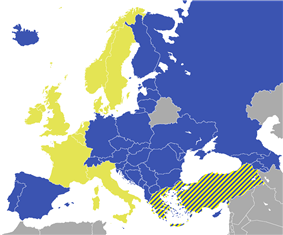 It was invited to join NATO on 3 April 2008, and it became a full member on 2 April 2009. 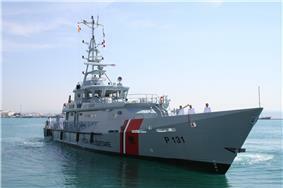 Patrol boat Iliria of the Albanian Navy. Executive power rests with the Council of Ministers (cabinet). The Chairman of the Council (prime minister) is appointed by the president; ministers are nominated by the president on the basis of the prime minister's recommendation. The People's Assembly must give final approval of the composition of the Council. The Council is responsible for carrying out both foreign and domestic policies. It directs and controls the activities of the ministries and other state organs. The head of state in Albania is the President of the Republic. The President is elected to a 5-year term by the Assembly by secret ballot, requiring a 50%+1 majority of the votes of all deputies. The current President of the Republic is Bujar Nishani elected in July 2012. The Euro-Atlantic integration of Albania has been the ultimate goal of the post-communist governments. Albania's EU membership bid has been set as a priority by the European Commission. The Albanian republic is a parliamentary democracy established under a constitution renewed in 1998. 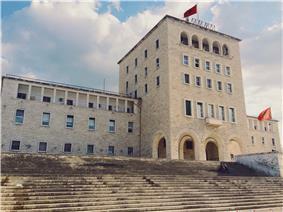 Elections are held every four years to the 140-seat unicameral Assembly of the Republic of Albania. In June 2002, a compromise candidate, Alfred Moisiu, former Army General, was elected to succeed President Rexhep Meidani. After parliamentary elections in July 2005, Sali Berisha, the leader of the Democratic Party, became prime minister, while on 20 July 2007 Bamir Topi became president. The current Albanian president Bujar Nishani was elected by Parliament in July 2012. Albania became a full member of NATO in 2009, and has applied to join the European Union. In 2013, the Socialist Party won the national elections. In June 2014, the Republic of Albania became an official candidate for accession to the European Union. In 1999, the country was affected by the Kosovo War, when a great number of Albanians from Kosovo found refuge in Albania. The crisis led Prime Minister Aleksandër Meksi to resign on 11 March 1997, followed by President Sali Berisha in July in the wake of the June General Election. In April 1997, Operation Alba, a UN peacekeeping force led by Italy, entered the country with two goals: assistance in evacuation of expatriates and to secure the ground for international organizations. This was primarily WEU MAPE, who worked with the government in restructuring the judicial system and police. 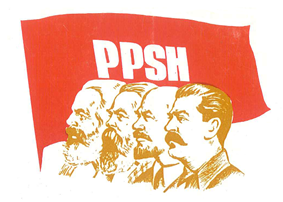 The Socialist Party won the elections in 1997, and a degree of political stabilization followed. In the following years, much of the accumulated wealth of the country was invested in Ponzi pyramid banking schemes, which were widely supported by government officials. The schemes swept up somewhere between one-sixth to one-third of the country's population. Despite IMF warnings in late 1996, then president Sali Berisha defended the schemes as large investment firms, leading more people to redirect their remittances and sell their homes and cattle for cash to deposit in the schemes. The schemes began to collapse in late 1996, leading many of the investors into initially peaceful protests against the government, requesting their money back. The protests turned violent in February as government forces responded with fire. In March the police and Republican Guard deserted, leaving their armories open. They were promptly emptied by militias and criminal gangs. The resulting crisis caused a wave of evacuations of foreign nationals and of refugees. After protests beginning in 1989 and reforms made by the communist government in 1990, the People's Republic was dissolved in 1991-92 and the Republic of Albania was founded. The Communists retained a stronghold in parliament after popular support in the elections of 1991. However, in March 1992, amid liberalization policies resulting in economic collapse and social unrest, a new front led by the new Democratic Party took power. Hoxha's political successor Ramiz Alia oversaw the dismemberment of the "Hoxhaist" state during the breakup of the Eastern Bloc in the later 1980s. In 1967 Hoxha proclaimed Albania the 'world's first atheist state'. Hundreds of mosques and dozens of Islamic libraries — containing priceless manuscripts — were destroyed. Churches were not spared either, and many were converted into cultural centers for young people. The new law banned all "fascist, religious, warmongerish, antisocialist activity and propaganda." Preaching religion carried a three to ten years prison sentence. 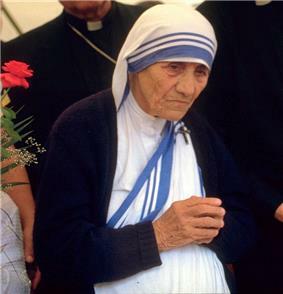 Nonetheless, many Albanians continued to practice their belief secretly. Religious freedoms were severely curtailed during the Communist period, with all forms of worship being outlawed. In August 1945, the Agrarian Reform Law meant that large swaths of property owned by religious groups (mostly Islamic waqfs) were nationalized, along with the estates of monasteries and dioceses. Many believers, with the ulema, and many priests were arrested, tortured and executed. In 1949, a new Decree on Religious Communities required that all their activities be sanctioned by the state alone. 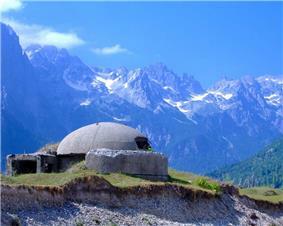 An old communist bunker overlooking the spectacular peaks of Valbona Valley. An estimated 700,000 concrete bunkers were built by Hoxha's regime.